Get off the bench and get into the game by joining a PlayLine contest! Find your favorite game by sorting contests based on start time, size, entry fee or prize. Pick from our recommended contests in the featured tab in the contest lobby, or choose the sport league you know best and view only those games. PlayLine offers contests for everyone! Whether you’re a rookie or headed to the Hall of Fame – we’ve got you covered with a variety of contest formats, with entry fees ranging from $0.10 to $10,000+ – and everything in between! Once you’ve found your game, that’s where the real action begins! Tired of the shark infested waters at those other salary cap sites? We thought so! At PlayLine, we’re evening the playing field and making fantasy sports about the players you know and love! On PlayLine, simply predict the stat line of your favorite players in that day’s games – it’s that easy! Everyone understands that sports yields stats – so if you know what a point, rebound, passing yard, touchdown, homerun or strikeout is – you can play THIS game! Even better, we give you all of the information you’d need to compete at a high level – from player averages, to game logs, to up to the minute news and more! When it comes to scoring – you guessed it – the closer your PlayLine is to the athlete’s actual performance, the more you’ll score, the better you’ll do, and the more you’ll win! Even better, while every contest has a winner, in our ‘Perfect Line Bonus’ contests – if you can predict the featured athlete’s performance with perfect accuracy, you’ll walk away with our $1,000,000 top prize! We offer over $1 BILLION DOLLARS in prizing each year – so get in the game and get paid just like your favorite player! We offer real time stats data updates, so once your contest goes live, track your score, standings and winnings in real time! Watch sports in a whole new way, and set a PlayLine that creates a game script that’s entirely unique to you! After all, that last minute assist is on the one that could make you a millionaire! Size up the competition, and view the PlayLine’s set by your competitors, and fight your way to the top of the standings with each stat you predict, as it happens! Co-Owned by UFC Middleweight Champion Michael “The Count” Bisping, PlayLine’s goal is to make fantasy sports for everyone – by simplifying the process, focusing on the super star players you know and love, and by offering the biggest cash prizes in all of daily fantasy sports. 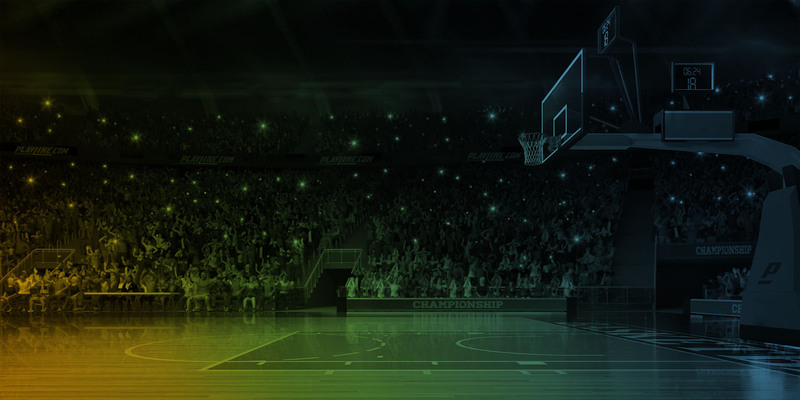 Here at PlayLine, we recognize that daily fantasy sports has become overly complex and time consuming, while fostering an ecosystem built on unfair models of competition. That’s not right! PlayLine’s goal is to provide its users with a simplified fantasy experience that evens the playing field. Instead of drafting players or using a salary cap, PlayLine asks you to predict the stat line of our featured super star players. Tell us how you think these athletes will perform – the closer your PlayLine stat line is to the players actual performance, the more points you get! The higher your point total, the more likely you are to share in our industry leading real money prizing! But why choose a stat line format? First of all – it’s a lot of fun! There’s no better way to prove your sports fandom than by predicting exactly how a world class athlete will perform. Second, figuring out the best way to optimize a salary cap line up takes a large amount of time and complex mathematics. Predicting stat lines does not – yet both require the same amount of skill! Lastly, with PlayLine’s focus on superstar players, you can now play Fantasy Sports focused solely on the players you know and love! Forget spending hours sifting through data on backups and bench players by joining UFC Middleweight Champion Michael Bisping in knocking the sleepers out cold!